The COJECO BluePrint Fellowship is a highly selective year-long program for Russian-speaking Jewish adults ages 25-40 to explore personal and collective identity through the creation of community projects. 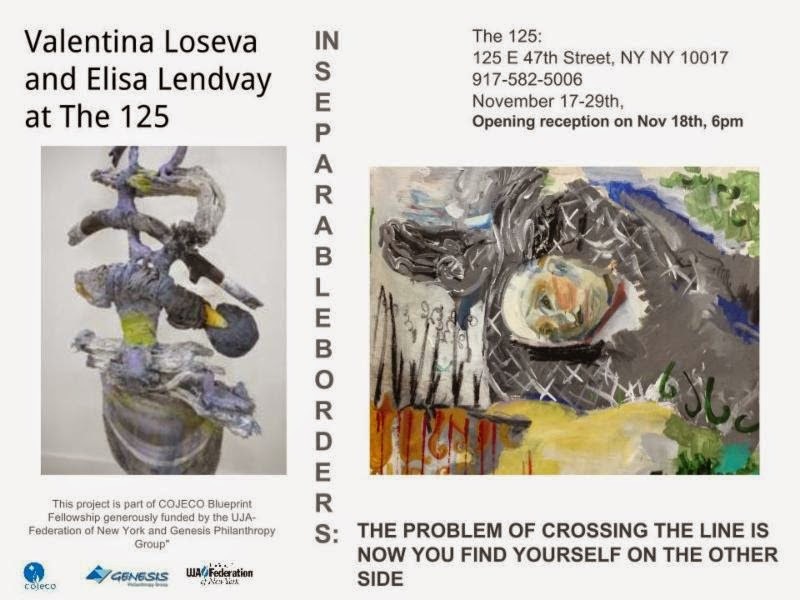 Valentina Loseva's project is Inseparable Borders, an art exhibit that looks at the question of ethics and identity in the personal understanding of the self and the community's perspective on the nature of divergent ethical, religious or cultural associations of individuals within the particular community. Tuesday, November 18 at 6:00 PM opening reception. Exhibit open November 17-29.